Hello crafty friends!! 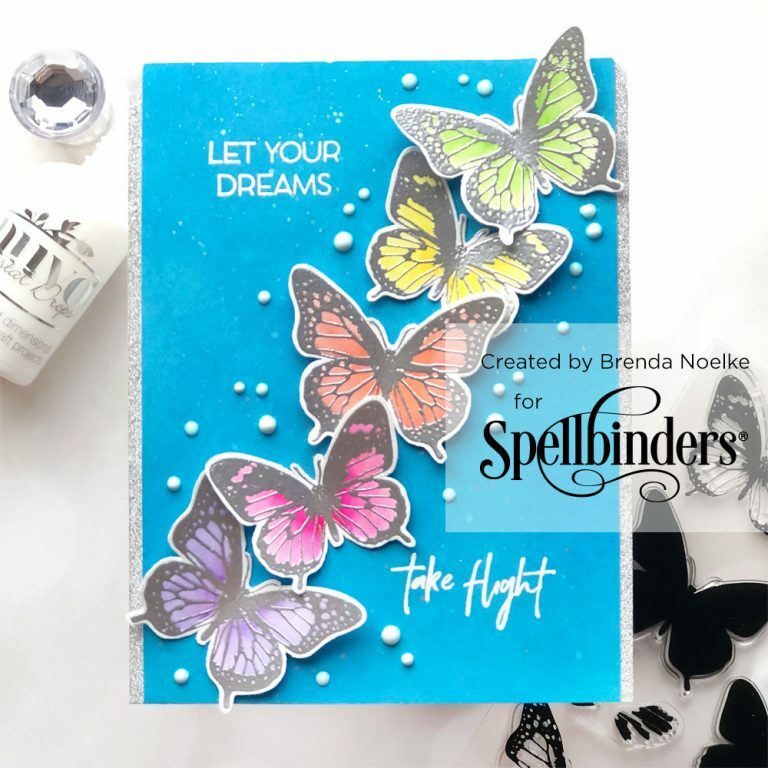 This is Brenda Noelke from My PaperCut Creations, back for my 2nd guest post this week (find my first post here)! 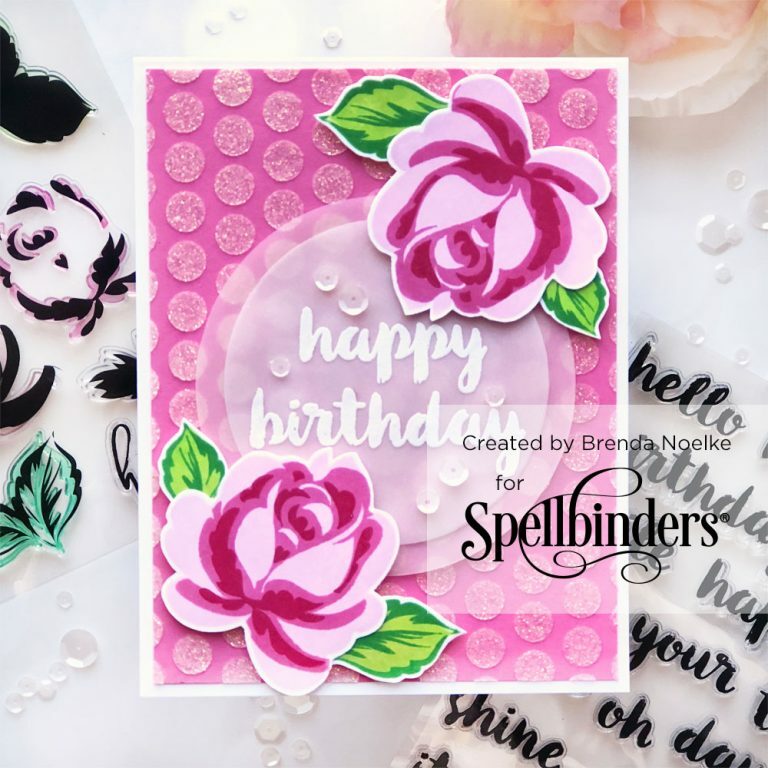 I am featuring three new stamp sets today – Layered Rose and Sentimental Words! Two of which are on my first card. 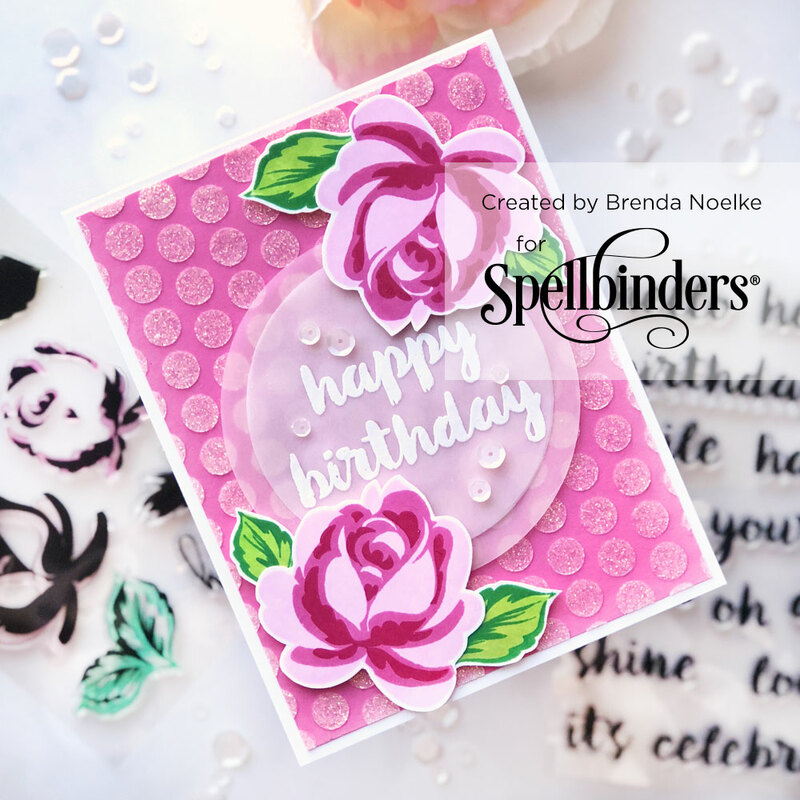 This floral layering set is so easy to line up and creates such dimension. 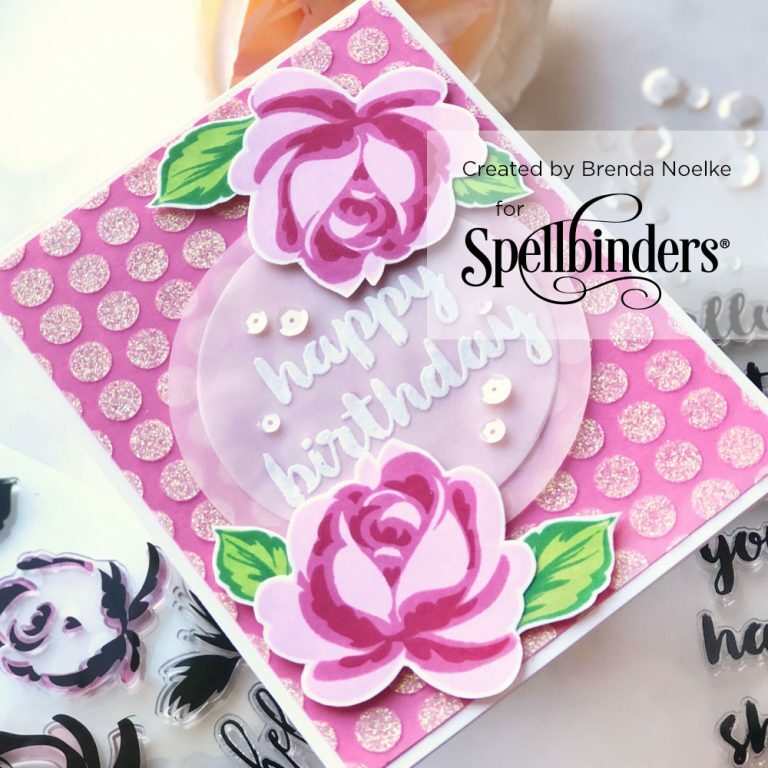 I began by stamping the flowers with three shades of pink ink onto white cardstock. The leaves also have three layers, but I chose to only use two, stamping them in green. I fussy cut the stamped images. Next, I die-cut two circles from vellum and white heat embossed the sentiment onto the smaller one. 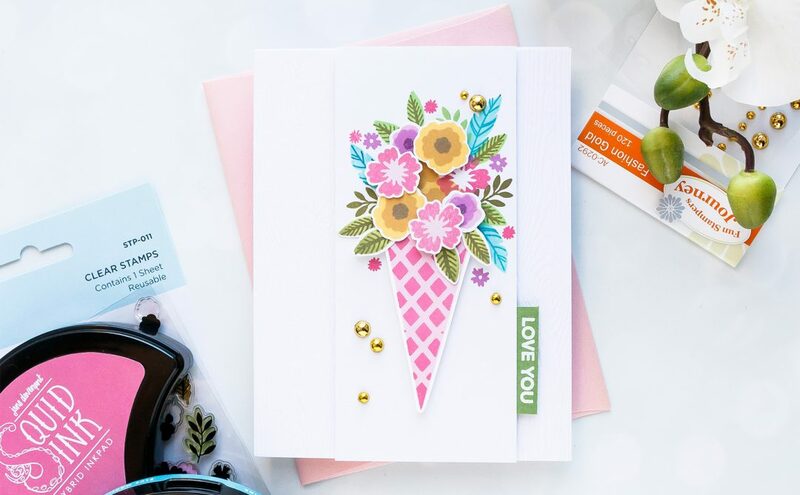 Glimmer paste was applied through a polka-dot stencil onto a panel of pink cardstock. Once dry, the card was assembled. 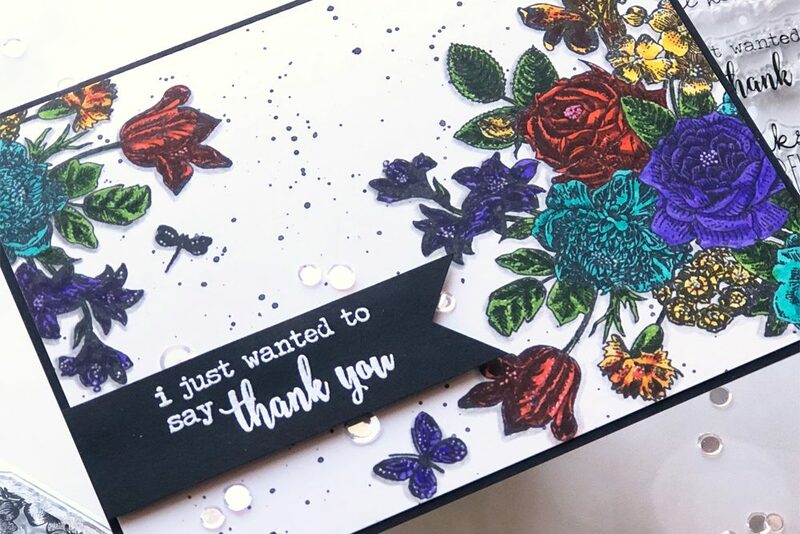 I applied liquid adhesive behind the heat embossed letters and popped the flowers and leaves up with dimensional adhesive, for added dimension. A few white sequins finish off the card. 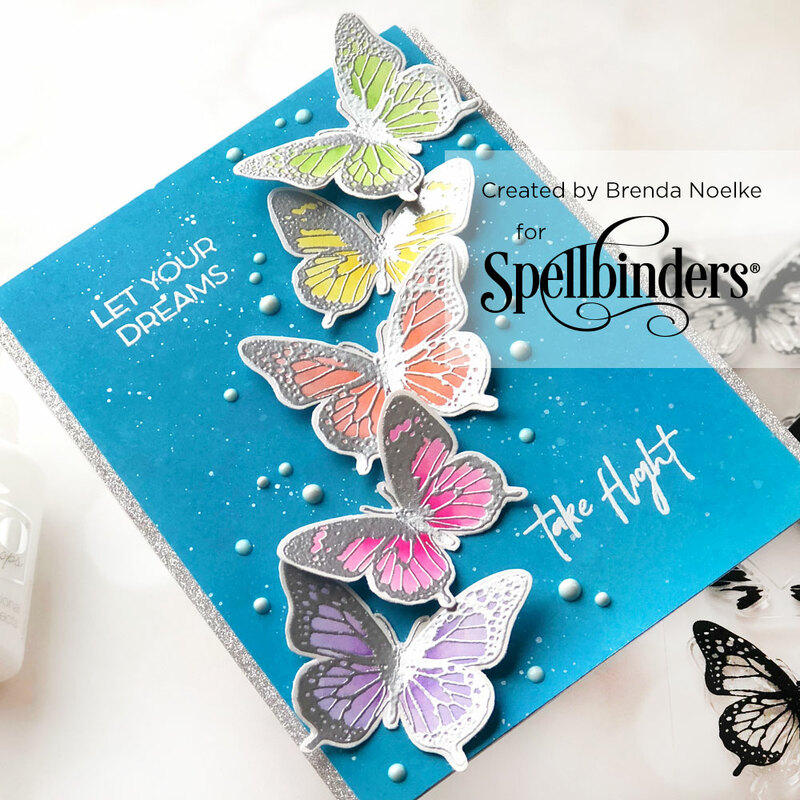 My second card focuses on a beautiful butterfly stamp set. 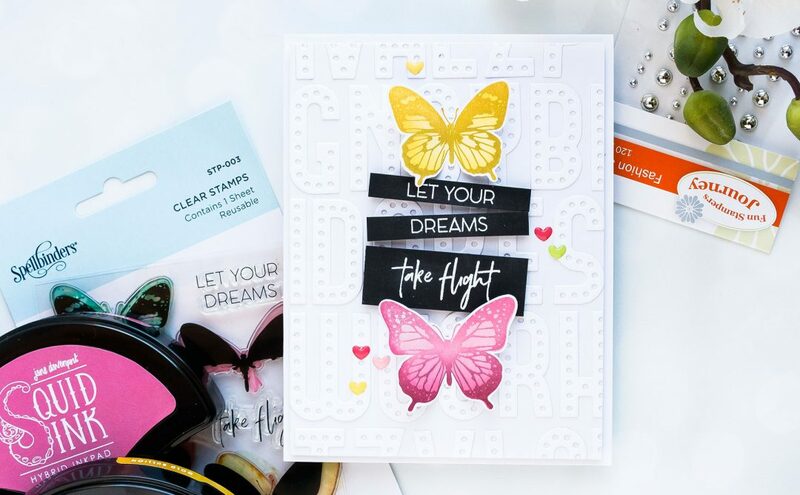 This set provides different ways to stamp your butterflies! 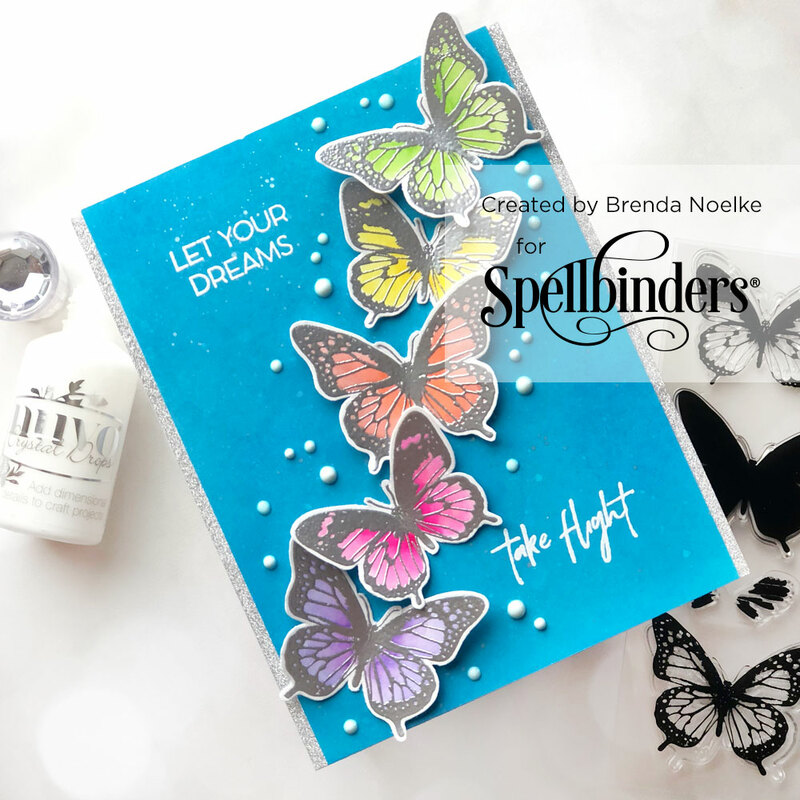 It contains a solid image and a couple of layers, so you can stamp the entire butterfly. Or, if you are totally addicted to coloring like I am, you can stamp only the outline. I started off by silver heat embossing the outline of the butterflies onto white cardstock and then colored them with watercolor markers. I blended three different inks onto a white cardstock panel, then spritzed it with clear and pearlized water. The sentiment was heat embossed in white onto the ink-blended panel, before trimming the panel slightly on each side. Metallic tape was adhered onto the A2 size cardbase and the ink-blended panel was adhered. 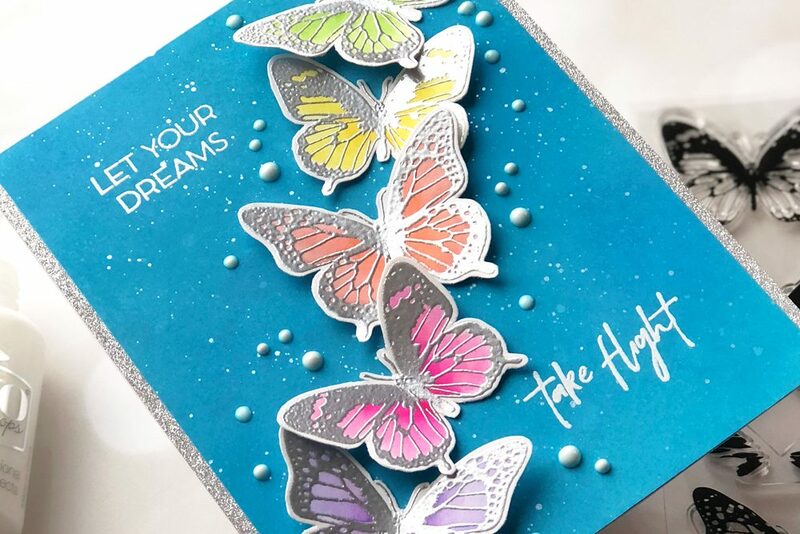 The butterflies were fussy cut and then adhered diagonally across the card. I only applied adhesive to the centers of the butterflies, allowing the wings to pop up to create movement and dimension. Finally, some dimensional drops were added around the butterflies. Thanks so much for joining me today! I have really enjoyed creating these projects for you!